We, at New England Country Music, are continuing our series spotlighting women in country music. While the acronym WCW, standing for ‘Women Crush Wednesday,’ is often used for physical attraction, that is not the case here. This series will feature talented women who are crushing the country music scene. Although she’s just getting her feet wet in and around the country music scene, Abby Anderson continues to be recognized. She was named one of CMT’s Next Women of Country. She got a spot on Pandora’s popular 2018 Country Artist’s to Watch list. And she has been named one of Music Row’s Next Big Thing for 2019. In January, she was included as part of Bobby Bones’ all-female Class of 2019. Abby Anderson had an amazing experience touring with Brett Eldredge and Devin Dawson last Fall on The Long Way Tour. Hopefully you caught a glimpse of her in October, when she stopped in Kingston, RI at the Ryan Center or Manchester, NH at the SNHU arena. She’ll actually be in Boston tonight for 101.7 The Bull’s Country Uncorked at City Winery with Tyler Rich, Travis Denning, and local favorites Martin & Kelly. Be sure to download ‘Make Him Wait’ from her EP ‘I’m Good’ on iTunes here. Or her latest single ‘Good Lord’ on iTunes here. You can stay connected with Abby Anderson by following her on Facebook, Instagram, and Twitter. Stay tuned for our next installment of WCW in country music. It is set to hit our page on Wednesday April 24th. This entry was posted in Home page blog and tagged Abby Anderson, Country Uncorked, Good Lord, I'm Good, Make Him Wait, The Long Way Tour on April 10, 2019 by BeckyNECM. Dallas Native, Abby Anderson, teased us with her YouTube release of the acoustic recording of ‘Make Him Wait’ about a month ago however, her debut single was officially released on Friday, April 27th. Abby co-wrote this powerful song with Tom Douglas and Josh Kerr and sends a strong message to all of her fellow females earning herself a spot on a few 2018 Artists to Watch lists as well as being named one of CMT’s Next Women of Country. 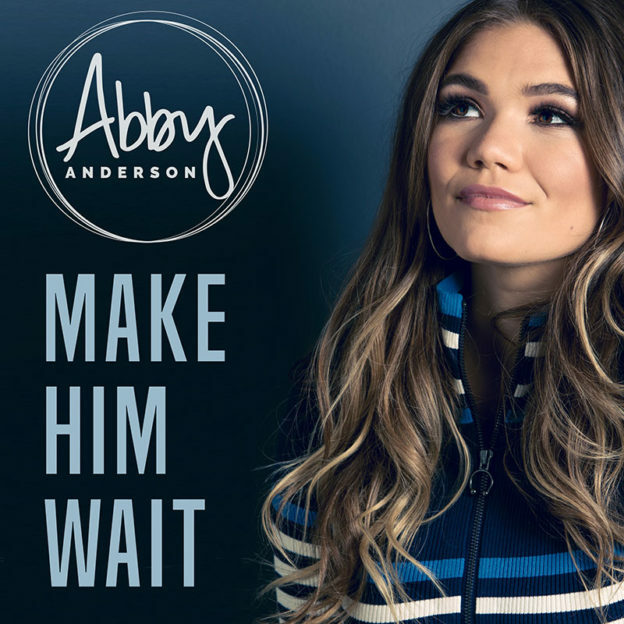 If you remember Brad Paisley’s ‘Waitin’ on a Woman’ back in 2005, Abby’s new single ‘Make Him Wait’ conveys a very similar message that hits home. Listen here to know what we are talking about! While this song is directed towards her female fans, it’s easy to connect to. The lyrics are familiar, they sound almost identical to what we were told growing up, the values that were instilled in you, you can’t get it back when you give yourself away… a boy’s gonna run but a real man’s gonna stay… make him wait. ‘Make Him Wait’ is a love story. From waiting for the first phone call, to planning the first date. From meeting Dad, to the debating on whether or not a sleepover is the right decision. Abby knows it can be difficult to wait, it’s easier to stay the night but reminds us to take a deep breath and do the opposite of what you wanna do, make him wait. 13 years ago, Brad knew what what he was talking about when he sang it was worth it, waitin’ on a woman. Abby is right on track with instilling the same message. This love story gets its own happily ever after with a walk down the aisle. Listeners can hear the clear message that love is worth the wait. While we don’t necessarily want to wait to hear more of Abby Anderson, we are excited that she will be coming to Boston on June 2 with Russell Dickerson at the Paradise Rock Club. This entry was posted in Home page blog, Reviews and tagged Abby Anderson, Black River Ent, CMT Listen Up Artist, CMT Next Women of Country, Make Him Wait, NECM, New England Country Music on May 14, 2018 by LaurelNECM.